This bike from the one person company 'Special Products' has a different steering geometry: It has a negative trail. That's the reason that it can be easier ridden at low speeds, but in braking at higher speeds it's less stable. 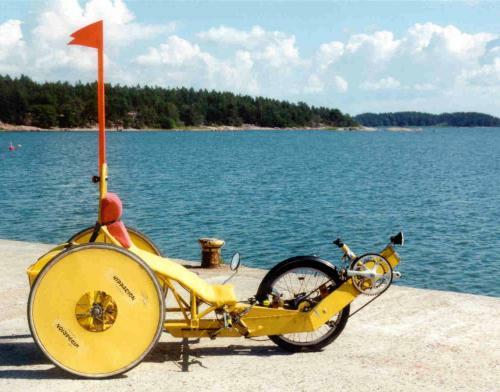 This aluminium trike, designed and built by the Finn Esko Meriluoto, steers with a mechanism comparable to the Flevo, but it has no tilting seat like the FlevoTrike has. 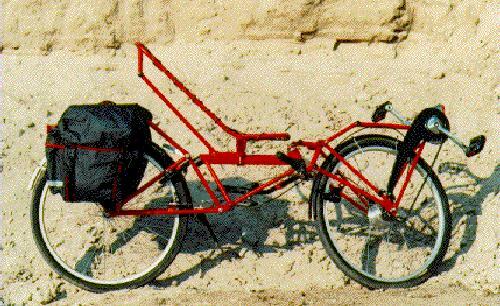 Moreover, this trike has - from the same philosophy as the 'Special' (above) - a negative trail. In order to limit the danger of folding up at high speeds, the steering mechanism is equipped with a damper. The maker describes this vehicle extensively on his own site. 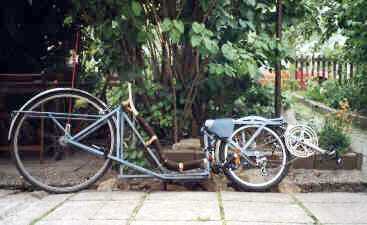 The Swedish Finn Åke Gustavson has built an experimental Flevobike with an extremely low seat. It's difficult to ride it, and cannot be ridden hands-free. You can read more about it on his own site.